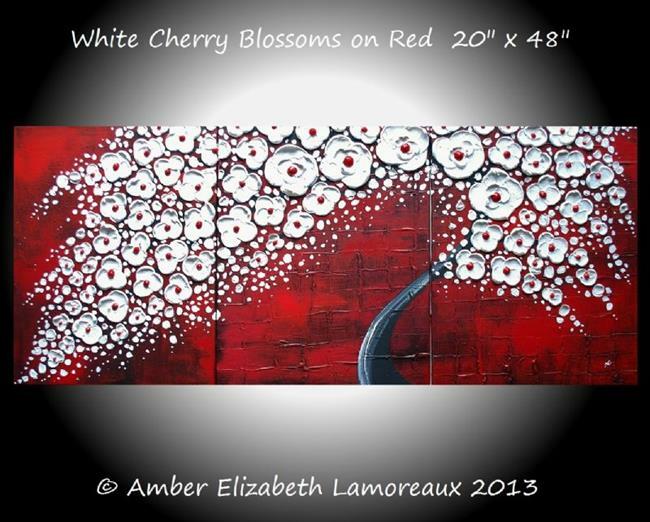 'White Cherry Blossoms on Red", 20" x 48" x 3/4" original triptych impasto palette knife painting on three gallery wrapped canvases by artist Amber Elizabeth Lamoreaux. This is an original acrylic painting of a flowering white cherry blossom tree against a red and black textured background. Beautiful textures and colors in this vivid painting which will liven up any room.